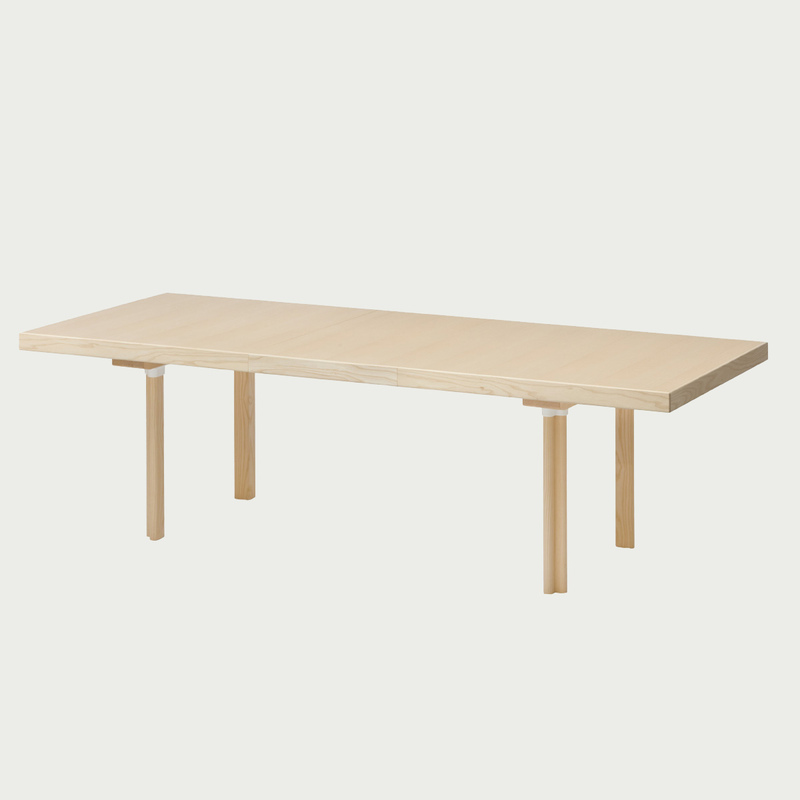 Designed by Alvar Aalto, the HL2-leg extension table has a solid birch frame with an ash face veneer top. The honeycomb core combined with the solid frame allows this table to be strong as well as lightweight. 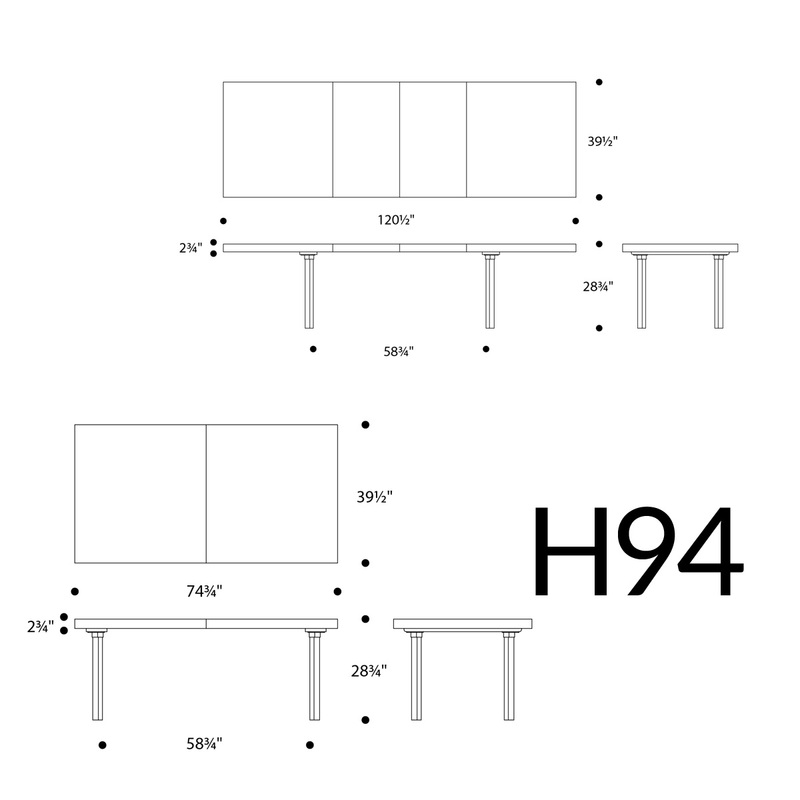 Included are two removable leaves, allowing the tables to accommodate a bevy of different uses(Table H94 seats 10). Made in Finland by Artek. Simple assembly required.Please review our Shipping Information page before ordering.